Since Donald Trump’s election victory, video game writers are finding new and innovative ways to shoehorn Trump’s name into their writing. Just look at Waypoint’s article about how Dishonored 2 is an allegory for Trump’s rise to power and Kotaku’s expose on how Steve Bannon used World of Warcraft gold farming in his plot to make America more racist. Even the Guardian included a Trump reference in their review of Resident Evil 7, calling the game a much needed escape from President Trump and Brexit. The Guardian article did not go far enough. Resident Evil 7 is not just an escape from Trump but a literal glimpse into the future of Trump’s America. The game centers around the Baker family. A once proud family living in the fictional Trump-supporting town of Dulvey, Louisiana who have found their fortunes squandered by globalization and opioid addiction. Their once regal plantation, sullied by neglect and poverty. Although the game does not explicitly state it, the Bakers definitely voted for Trump. We meet the Bakers in a post-Trump America. Since Obamacare was repealed, they had no healthcare protection from a sinister parasite/virus/fungi thing which mutated the family into raving, rage-fueled monstrosities. The game sets out to prove to gamers that the only thing standing in between them and a mutant redneck outbreak apocalypse is Obamacare. Chilling. You play as the hero of the story, coastal elite Ethan Winters who was definitely “with her.” He ventures to Dulvey to find his missing wife Mia. Mia probably thought it was a good idea to travel to a red state after reading Breitbart.com. When Ethan finally finds his missing wife, she has changed. She joined the Bakers after getting the infection and tries to kill Ethan. Mia is a metaphor for all the white women who we thought were going to turn out for Hillary but ended up voting Trump. Gender traitors basically, except in Resident Evil 7, they are portrayed as infected mutants. The game’s entire cast prove an allegory to the grotesqueness of Trump’s America. The unnamed grandmother of the Baker family is catatonic and unmoving throughout most of the game. This clearly points to the outcome of gutting Medicare and Social Security by the Republican congress which will leave our seniors weak and powerless and susceptible to the Obamacare infection. The son of the Baker family Lucas wears a grey hoodie throughout the game. Hmmm, who else wears a grey hoodie? None other than pharmabro Martin Shkreli. The game hopes to show players that without Obamacare, we will all be at the mercy of pharmaceutical industries price gougers like Shkreli. The matriarch of the family, Marguerite, is a kind old southern white lady, who actually is evil because she voted Trump. And father Jack is a stand-in for Donald Trump himself, brutal, uncompromising and orange-faced (or at least after he catches fire from an exploding car). The game is also surprisingly non-diverse for the current year. All the racist zombie hillbillies are white for some reason. This may be a subtle nod by the game’s creators to the common liberal theory that Trump will ban the “Oscars So White” hashtag and retrograde American entertainment back to the 1950s. 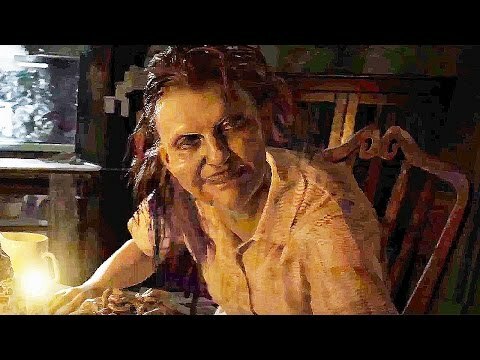 The themes of Resident Evil 7 are ones of decay, desolation and healthcare reform. It offers a chilling vision into an America without a social safety net where callous plutocrats stand idly by as the nation’s redneck’s succumb to the Obamacare virus. How Capcom managed to create such a prescient game for the Trump era is a true mystery. But thank god they did. How else would liberals know to start stockpiling guns, ammunition and chainsaws to fend off the infected hordes of Middle America and take the country back? 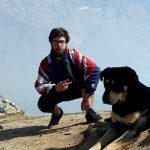 Sam Hyde’s dead and here’s the documentary — Blacklisted Million Dollar Extreme fans praise new doc chronicling Sam's last days in the bunker.